Smartphones are now considered an essential rather than a luxury. Having a smartphone capable of running apps and accessing crucial services makes life a lot easier. You can even use your smartphone to save money thanks to coupons, deals, and personal financial management apps. Smartphones are getting better and more powerful, but they are also getting more expensive. The latest flagship phones from Samsung and Apple have both crossed the $1,000 price. Fortunately, you don’t have to spend that much to get a good smartphone. Trade-ins are great when you need to upgrade your phone. Some trade-in deals are so good that not trading your old phone in is a waste of money. Almost everyone offers trade-ins and special deals for your old phones nowadays. Even Amazon accepts trade-ins for those who want to upgrade their smartphones. Aside from trade-ins, you can also sell your old phone online. Craigslist is the obvious choice here, along with eBay. Other sites specifically deal with used phones and will take yours for a small fee. USell is a good example of such sites. The latter is more convenient because you don’t have to deal with the buyer directly. The only downside is that you may not get the full price of your used phone, because the middlemen need to make a profit too. 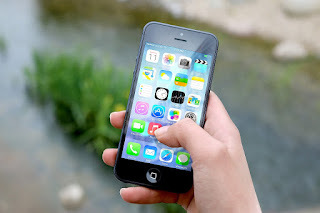 If you don’t need the latest and greatest from the smartphone world – which is often the case – you can also consider buying a refurbished phone at a much lower price. Refurbished phones are almost identical to new ones, and you still get the upgraded performance you need from the phone. There are different categories of refurbished products. 14-day products, for instance, are products that are returned by previous customers, and then rechecked and repackaged by the carriers or retailers. While you get a full warranty on refurbished phones, it is still necessary to perform checks within the grace period after your purchase. You can get the phone replaced with another unit if you find anything that isn’t working properly. There are also times when spending more on a new phone is worth it. When you pick up a flagship phone like the Samsung Galaxy S9 or the newly released OnePlus 6, you basically have a phone that you can use for more than two years. That longer lifetime period also comes with extra features. Instagram users will find Apple’s iPhones more valuable because Instagram Stories still work better with iPhones. You get features that you really need for the money and you know you can read more articles and tutorials to fully maximize those features. On the other hand, going for a flagship phone isn’t the most efficient thing to do when you only need the phone for social media and messaging. You get much better value with mid-end phones like the Asus Zenfone 5 or a slightly older iPhone 7. The money you save can be allocated for other, more important expenses and you won’t miss out on features that you don’t need.